Click on a picture for a more detailed image. 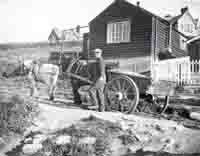 Building on Beach Road by the old Toll House – C1935. Jack Way in the doorway. 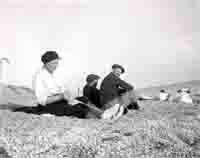 Hive Beach before the cliffs were eroded!